In 2014-15 a new curriculum was introduced for all maintained schools in England. At Mayfield we chose to begin the process of planning for the new curriculum not with academic coverage, but with the child. We believe that the child should lie at the heart of the curriculum, and that everything we do should contribute to the full and rounded development of every child, as well as the acquisition of new skills, knowledge and understanding. 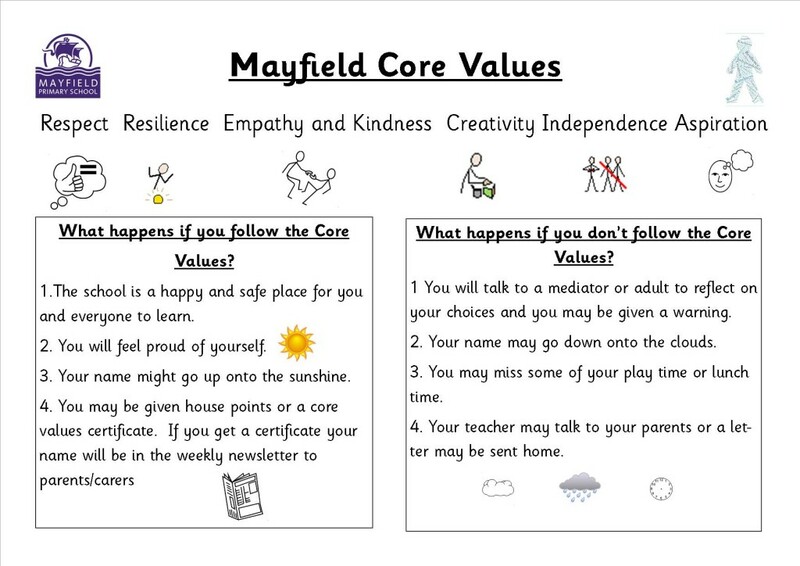 All staff were involved in choosing a set of core values – attributes and behaviours that we want to help everybody at Mayfield to develop during their time at the school. We believe that these behaviours will help children to become better lifelong learners and make Mayfield a happy and supportive environment for learning. Children and adults at Mayfield show respect for one another, for themselves and for their environment. Children and adults at Mayfield persevere in the face of challenges and stay calm in stressful situations. They take risks and understand the value of making mistakes. 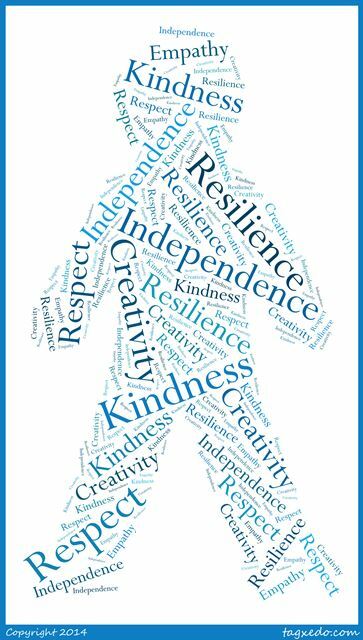 Children and adults at Mayfield are able to put themselves in other people’s shoes and show concern and care for others, both within and outside of the school. They look after one another and can put others before themselves. Children and adults at Mayfield can think for themselves and find creative solutions to problems. Children and Adults at Mayfield challenge themselves to aim as high as they can. Children and adults at Mayfield can resist distraction and make good decisions. They have the skills they need to work alone or as part of a group. They take ownership of their learning and know what they need to do to make progress.